This collection of documents brings together a large number of primary sources on the peaceful settlement of disputes in a usable and affordable format. The documents included reflect the diverse techniques of international dispute settlement, as recognised in Articles 2(3) and 33 of the UN Charter, such as negotiation, mediation, arbitration and adjudication. 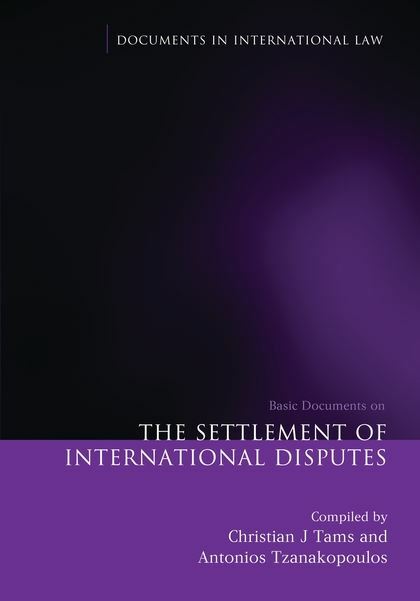 The book comprises the most relevant multilateral treaties establishing dispute settlement regimes, as well as examples of special agreements, compromissory clauses, optional clause declarations and relevant resolutions of international organisations. 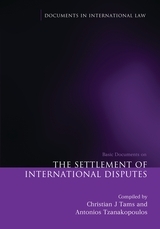 It covers both diplomatic and adjudicative methods of dispute settlement and follows a basic division between general dispute settlement mechanisms, and sectoral regimes in fields such as human rights, WTO law, investment, law of the sea, environmental law and arms control. 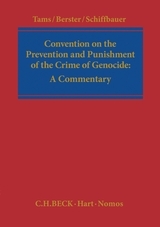 The book is the first widely-available collection of key documents on dispute settlement. It is aimed at teachers, students and practitioners of international law and related disciplines. “...this collection could prove handy for...students or those who need finger-tip ready access to some of the basic texts and treaties forming the bases of international law. The freely available nature of this material is by no means a reason not to publish such a collection. Antonios Tzanakopoulos is University Lecturer in Public International Law at the University of Oxford and Fellow of St Anne's College.